For a goodtime visit….. Austin, Texas. Although short, day trips can be plenty of fun, and Austin, Texas definitely does not disappoint. With only 20 hours in the city, I managed to visit the University of Texas’ campus, the State Capitol Building, take an Amphibious Bus tour of the city, and bar hop on 6th Street until I was nice and drunk. Who says a day trip to the capitol of Texas can’t be educational, fun, and inexpensive. If you’re in Texas I highly recommend stopping in Austin for a day or two and taking in the Downtown area. Below are a few tips and suggestions from my adventure in Downtown Austin. Getting to Austin: The city of Austin is centrally located in the state, and coach/bus tickets from Dallas or San Antonio, TX are not too expensive. 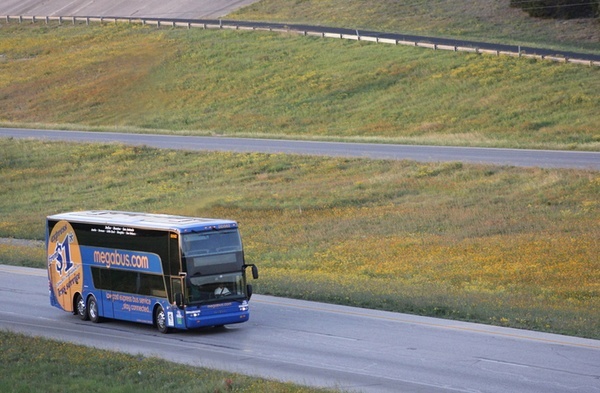 MegaBus.com offers round-trip tickets to Austin for about $25-$40 from both these cities. 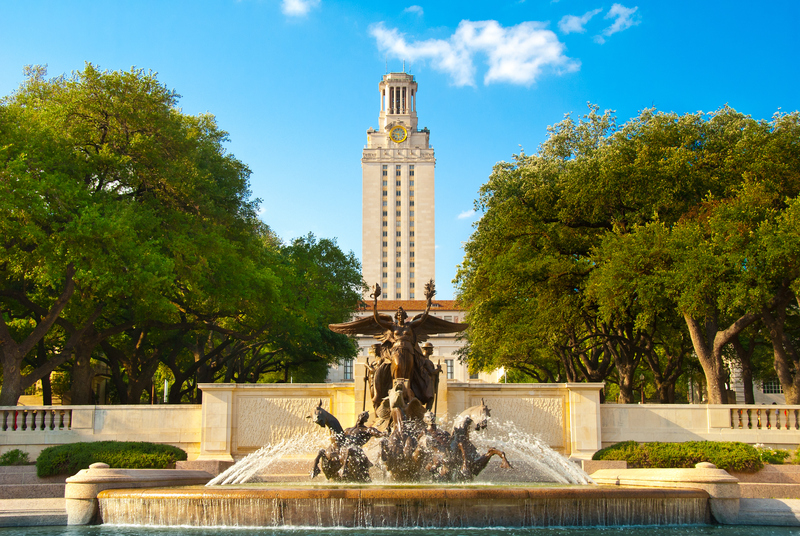 The MegaBus drop off station is directly next to the campus of the University of Texas, which is conveniently located within walking distance to many downtown attractions. I started my trip from Dallas, and the roundtrip ticket cost me only $36. Things to do in Austin: When I arrived in Austin, I made my way over to the University and walked around their campus. Founded in 1883, the University has plenty of beautiful old buildings to see and stop in, the most popular being the Main Tower Building. After wandering around the campus for a bit, I walked south for 1-mile (1.6 km) along Congress Ave towards the Texas State Capitol Building. 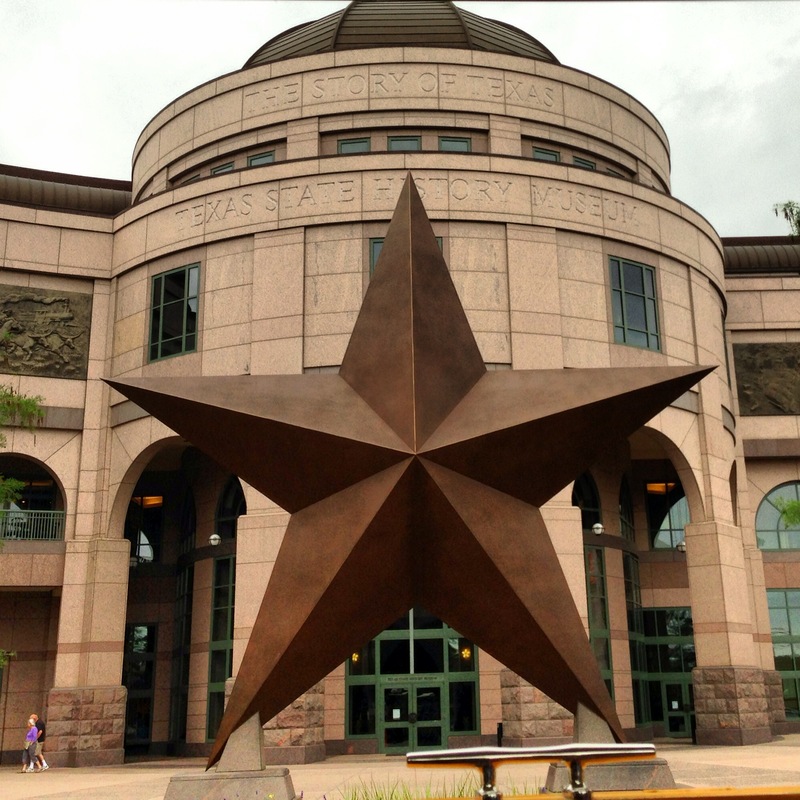 The Blanton Museum of Art and the Bullock Texas State History Museum are both along the way to the capitol. These museums offer inexpensive exhibits to view while in downtown. Admission prices for the museums are only $9- $14 for adults and discounts are sometimes available for students, children, and seniors. When you arrive at the State Capitol Building, stop by the south entrance on the ground floor to check for available free guided tours of the building. The tour is about 1 hour long. You can also pick up tour maps for a self-guided tour if no guided tours are available. After exploring the capitol building, I took a short half-mile (0.8 km) walk south to 6th Street. 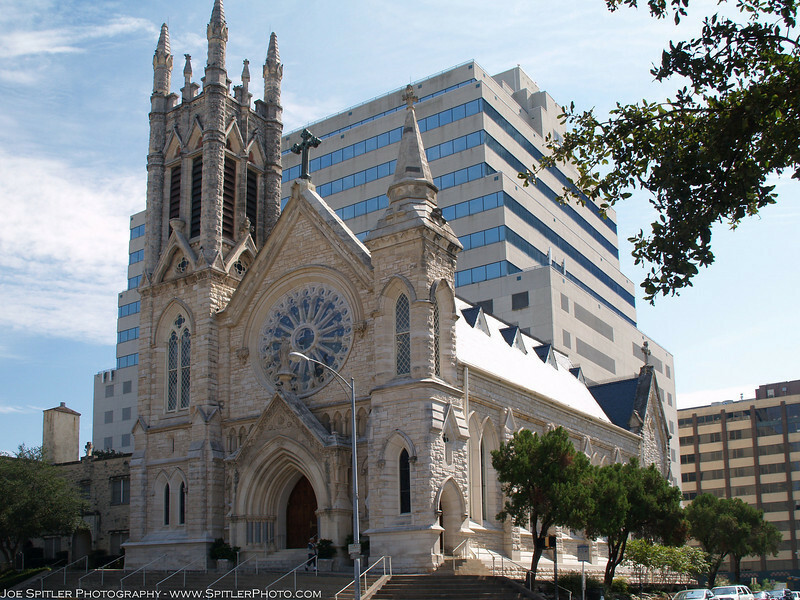 If you walk along Brazos Street you will pass the beautiful St. Mary’s Cathedral on the way there. 6th Street is Austin’s historic and entertainment district. It is also a great place to have lunch, bar hop, or jump on an amphibious bus for an enjoyable tour of the city. 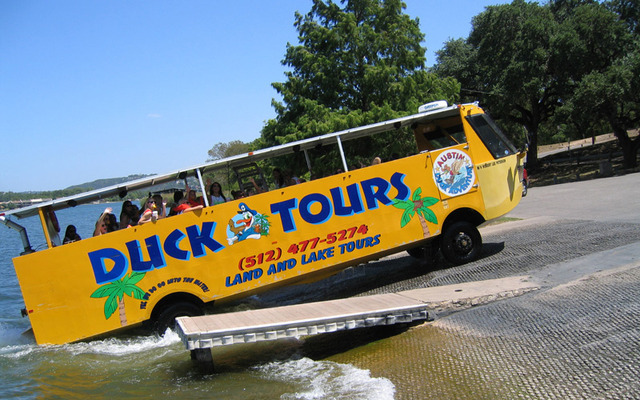 Austin Duck Adventures offers a fun and informative scenic tour of the city for about $30 for adults and departs from Sixth Street. If you want to see the downtown area, but prefer not to walk as much, this is a good option. The amphibious tour takes you around the downtown area, driving past the capitol building, university campus, museums, historical buildings and much more. After the tour in the city, the bus heads toward the Colorado River where it transforms from bus to boat as you drive into the river. The cruise on the Colorado River is pretty relaxing once you get over the shock of driving a bus into the river. After the ride on the river the tour makes its way back through the city to the original departure point on 6th Street. This was one of my personal favorites from my trip to Austin. If you’re looking for something to do after the tour, bar hoping is always an option. Sixth Street is lined with many unique bars that offer a variety of entertainment options.. You can go from an Irish Pub to a bar full of arcade games. Some of the bars even have roof top patios with a nice view. Ending my Daytrip: It started getting late after downing a few drinks and was time to head back to my hotel in Dallas. Had I known Austin was going to be such a fun town I would have booked a room for the night, but my bed was already awaiting me in Dallas. I stumbled my way back to the bus station near the university and hopped on my bus for the 3-hour nap back home for the night. October 10, 2013 in Travel Tips.